With the coastline of the Riviera Maya facing east, one of the only ways to see the sunset down here is being offshore, looking west from your own private yacht. Imagine coming to paradise and not seeing the sun set! We're here to fix that... plus cocktails. 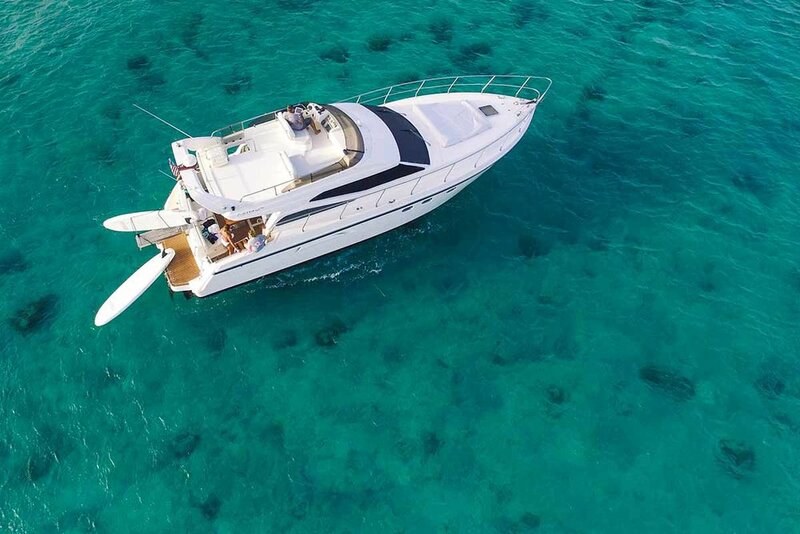 Located just south of Playa del Carmen, we'll be ready with cocktails as you board your yacht, depart the dock and cruise the canals, then heading out along the coastline where you can watch the sunset, have your own music playing while you call all the shots, or simply relax. There's plenty of room to sit back, get up and dance or socialize as the sun hits the horizon on another beautiful day in the Riviera Maya. WHAT Are the details and what IS THIS Sunset Cruise going TO COST US? The rates displayed here are for our four different private yachts. 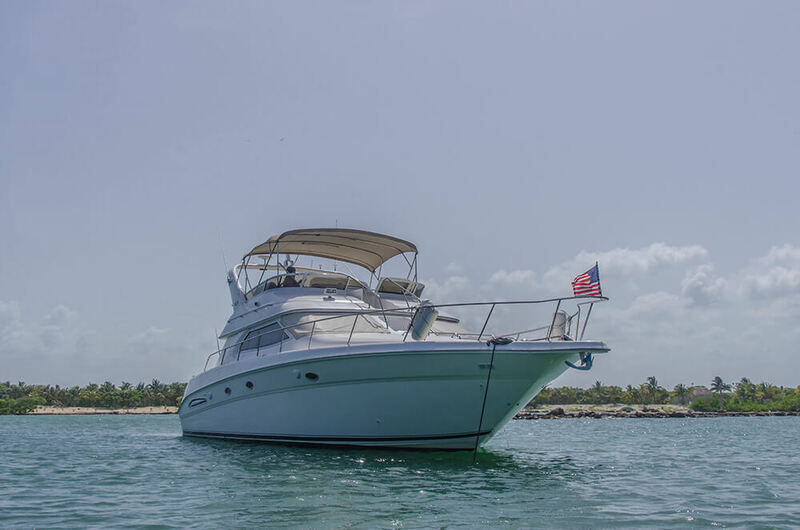 All charters are completely private for you and your group. Rates and additional hours vary slightly by yacht. Start times vary based on the time of year. Typically 6:00pm or after. Open Bar listed above plus round trip transport from anywhere in Cancun or Tulum. What date do you want your sunset cruise? Nah, I'm good with national liquors. If you're at a condo or villa, please provide the address. We'll coordinate transportation for you, make sure everything is on time and our drivers know exactly where the boat is located. You bet! Life is good when it's easy. No, we'll find our own way. Any questions for us, or any special message? Thank you! We'll be in touch as quick as we can.